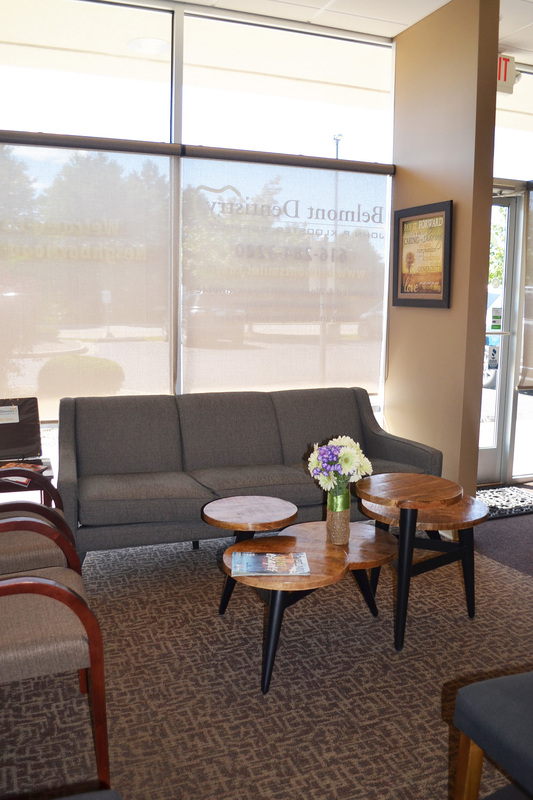 Ready to make an appointment with Belmont Dentistry? Please call 616-284-3200 to schedule an appointment today! Registration forms (Medical, Dental Histories, HIPAA/Privacy forms) can be completed online and securely downloaded to our office. Coordination of any dental benefits. Sometimes a dental cleaning can be provided at the first appointment if there is available time within the hygienists' schedule, if the patient doesn’t show signs of gum disease and/or if the patient has minimal plaque/tartar accumulation. If a patient requires a more extensive type of cleaning than time allows, an alternative treatment date is scheduled. A treatment plan is established outlining necessary care with the number of appointments necessary, as well as, financial options to cover any out-of-pocket investment. If dental insurance is being utilized, benefits will be incorporated and discussed with a patient care coordinator. If the treatment plan is extensive, sometimes it is necessary to send a predetermination to your insurance company for an accurate cost estimate. Belmont Dentistry accepts most common insurance providers. Cash, Check, Visa, Mastercard, Care Credit, In-Office Payment Plans Available.